The ECAO Annual Conference is almost "sold out". 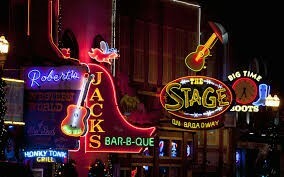 If you are considering joining us in Nashville, please register here TODAY. 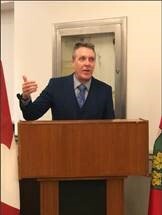 ECAO’s Graeme Aitken and Jodi Travers recently attending the Council of Ontario Construction Associations ( COCA) Lobby Day on March 25 at Queens Park. The main issues discussed with MPs was the implementation of the Prompt Payment elements in the new Construction Act. 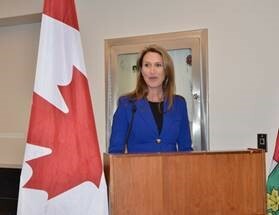 At the reception, Attorney General Caroline Mulroney said since being appointed, her office has focused on implementing key aspects of the new and modernized Construction Act. She recognized the industry is closely watching the designation of the Authorized Nominating Authority (ANA) for the adjudication process. The Ontario government has passed Bill 66, the Restoring Ontario’s Competitiveness Act. The bill received Royal Assent on April 3. The Office of the Chief Prevention Officer is seeking input for the development of the next provincial Occupational Health and Safety Strategy. An online survey open to all members of the public on the Government of Ontario Consultations Directory. In April 2019, you will receive a follow-up email with a link to participate in the online survey consultation. For more details on dates, read more. If you have questions or comments, please email the ministry at ohsstrategy@ontario.ca. WSIB is accepting applications for their Small Business Health and Safety and Safety Leadership Awards. The award highlights how small businesses make their workplaces healthier and safer – and who inspire their peers by example. The WSIB Small Business Health and Safety Leadership Awards recognize outstanding health and safety programs in small businesses with fewer than 50 employees. Submit an application for your own business or one in your community or association. Talk about your health and safety practices, how you do inspections, deal with hazards and support employees to return to work. 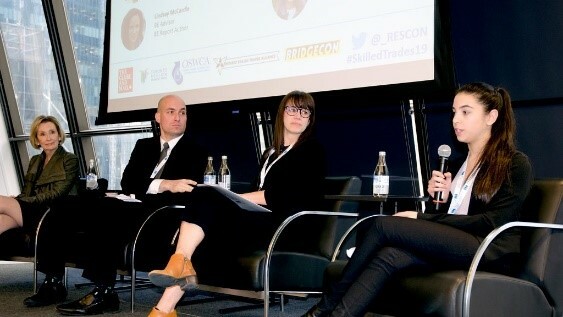 Breaking down barriers for people to enter the skilled trades was the topic of discussion at a recent event focused on retaining employees hosted by the Residential Construction Council of Ontario and the Ontario Residential Council of Construction Associations. The growing adoption for automation, instrumentation and electronics has many employers searching for skilled trades workers to install, service and maintain new and complex equipment. Increasingly in demand are tech-savvy electrical, mechanical and HVAC technicians, occupations that have evolved considerably in recent years. To help ensure employers have the skilled employees they need to grow, Ottawa’s La Cité is investing heavily in new technology. That includes a multi-million dollar grant to add equipment for its security and alarm systems lab, a state-of-the-art plumbing and hydronic lab as well as new electrical labs where students can learn how to master programmable logic controllers. The Ontario government says centralizing delivery will save $442 million. Ontario's government has cancelled a number of electricity conservation programs, including one which offered pool owners a $400 rebate for upgrading to energy-efficient pumps. Ontario Power Generation (OPG) has formally opened a 44-MW solar park at the site of the former 4,000-MW Nanticoke coal-fired power generating station near Port Dover on the shores of Lake Erie. The solar plant was built by PCL Construction on a 260-acre site, using 192,431 photovoltaic (PV) panels. The Independent Electricity System Operator awarded that project to OPG and its partners, the Six Nations of the Grand River Development Corporation and the Mississauga of the Credit First Nation, in 2016. 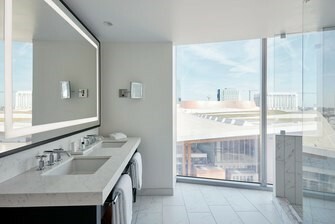 What's in the 2019 Federal Budget for Construction? 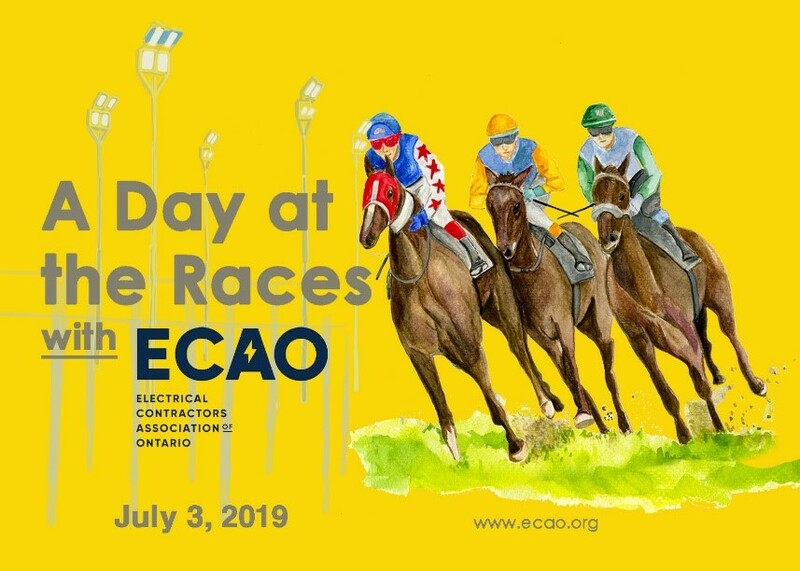 ECAO Day at the Races – The ECAO Board Invites Affiliate Partners for a night of fun, networking and racing. Please feel free to bring a companion as well. Whether your business is small or large, the Esso and Mobil Business Card will help you manage your fuel expenses. Enjoy exceptional fuel savings, powerful yet easy-to-use fuel management tools, and acceptance at participating Esso and Mobil retail fuel locations across Canada. Simply pick the degree of control and reporting that's right for your business. Once approved, you will receive 2.4 cents/litre discount on your gas bills. To learn more about the Esso and Mobil Business Card, read more below.